As you may have read recently, western states such as Idaho and Wyoming are offering grizzly bear hunts for the first time since the large bruins were delisted by Interior Secretary Ryan Zinke from the Endangered Species List a little over a year ago. 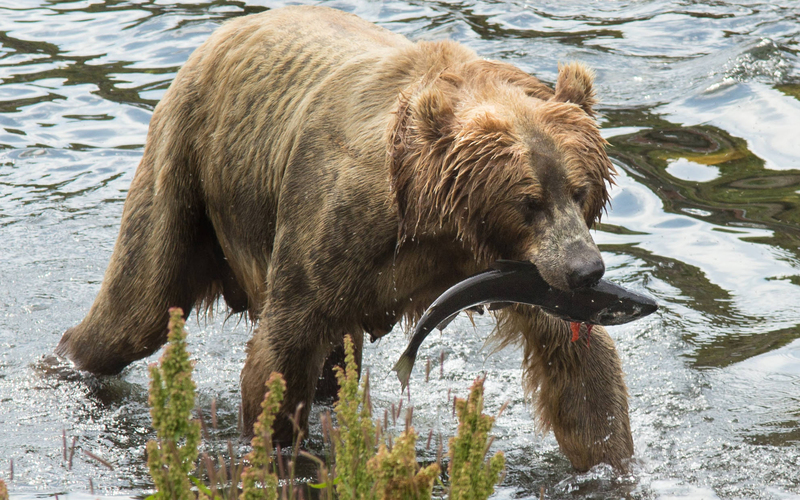 The success of these hunts in maintaining the bear population to safe levels has been well-chronicled, and largely paid for by hunters through Pittman-Robertson funds. Indeed, the best wildlife science available on bears does support a well-regulated hunt as a critical tool to managing the Yellowstone-area grizzly population. Further, the North American Wildlife Conservation Model of has been a world leader since its inception, bringing back countless species from the brink of extinction through a strong partnership between sportsmen and wildlife managers around the country. Anti-hunting activists around the country perpetuate the notion that hunting is an inherently cruel and inhumane option, instead advocating that we let “nature” take its course. This is impossible in a human-populated environment. With houses and backyard barbecues and campers and hikers in the woods, we have an obligation to manage our wildlife species responsibly. When one considers the numbers associated with Yellowstone bruins, it becomes clearer why a hunt is necessary to prevent negative human-bear interactions. In 2017 alone, the state of Wyoming caught 31 bears as a result of human-conflict situations, and 11 of those bears were killed by the state, which relies on a grading system, as other states do, of the level of problems the bear poses to public safety, agriculture and other areas. Four people were injured encountering bears. And over the course of the past decade, there have been 29 bear-attributed injuries and five deaths in Wyoming, and one in Montana. Wildlife activists mean well, certainly, but their positions just aren’t supported by the science and rely on loudly shouting down the voices of reason, and those that carefully and meticulously manage these wildlife resources for the enjoyment of both all mankind and the betterment of the species. Meanwhile, bears continue to expand their range outside of prime habitat, which is currently estimated by bear biologists to be at about 94% carrying capacity (or the scientifically estimated amount of a species that can sustainably live in any given piece of habitat). The 22 tags being issued in Wyoming, and the one tag already issued Idaho are based on a careful accounting of the population of bears that live in each state, their carrying capacities and the individual management goals of western states’ wildlife management agencies – which is based on the latest available science and peer-reviewed by the best bear biologists in the world. They also represent a once-in-a-lifetime opportunity for lucky hunters to carry on traditions that have been passed down from generation to generation in a truly memorable hunt, to feed their family with sustainably sourced meat and to experience the majesty and thrill of one of humanity’s oldest and most cherished traditions.